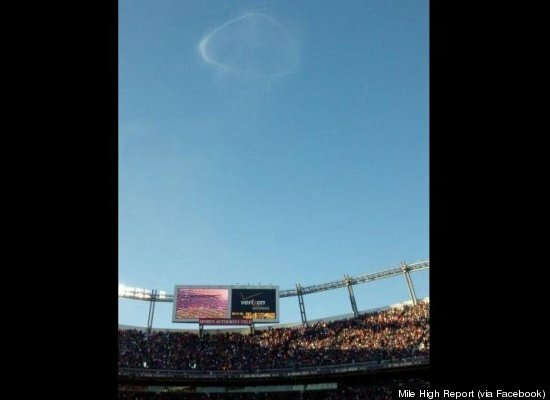 At the apex of Tebowmania, a 'halo' appeared over Mile High Stadium during a playoff game. Over the last few weeks the nation has been gripped by the saga of young Tim Tebow, who led the Denver Broncos to the NFL playoffs despite a singular lack of proficiency at throwing the football, normally considered a prerequisite for a quarterback. It was suggested in some quarters that this surprising development might have a supernatural explanation: Tebow is known as much for his religiosity as for his athleticism. So prevalent did the Tebow phenomenon become that it added a new verb to the English language: “to tebow,” meaning to kneel and rest one’s head on one’s fist in a pose of manly supplication. He became the subject of songs, sketches, and innumerable conversations — every sports fan was required to have an opinion. Those of us who are skeptical of the relationship between one’s belief in Jesus and success in sports found this annoying. Plain-speaking pundit Charles Barkley called it our “national nightmare.” But last week things got weird: Tebow and the Broncos made a very unlikely comeback against the Pittsburgh Steelers, then won the game on an 80-yard touchdown pass on the first play of overtime. Tebow, a big fan of John 3:16, passed for 316 yards, averaging 31.6 yards on 10 completions. So yesterday the Broncos faced the mighty New England Patriots and their quarterback, Golden Boy Tom Brady. Had they been able to pull that one off, it might have been time for me to seriously reevaluate some of what I think about the way the world works. Instead, the Pats beat the Broncos like a red-headed mule, 45–10. This means one of two things: Either Jesus loves Tom Brady more than Tim Tebow (a distinct possibility if you consider Gisele Bundchen), or He does not really get involved in the outcome of football games. In any case, we’re unlikely to hear about Tebow quite so much in the next few months, which will be nice. Mr. David Bowie turns 65 today, so now he can officially retire — though he seems to have done so already, with no new album since Reality in 2003. Well, never mind…we got plenty from David…I just hope he is enjoying his Golden Years. 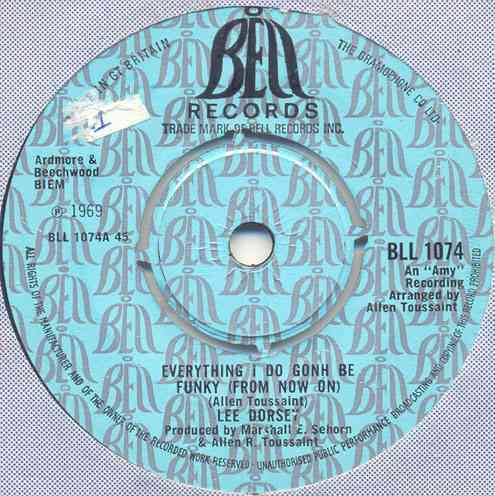 Here’s an underappreciated Bowie gem from back in the day: 1967, to be exact. And I never keep it. But I have a good feeling about 2012. This may finally be the year.